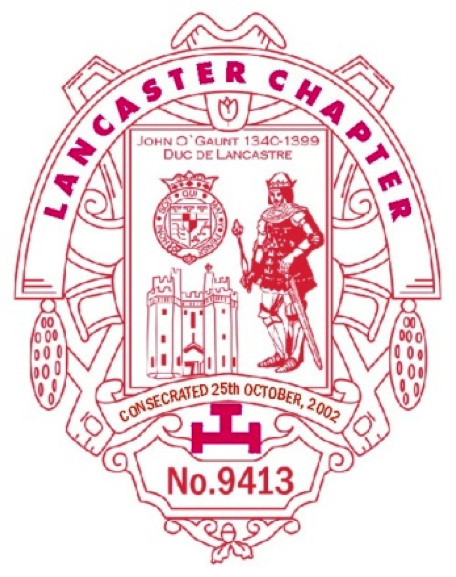 Lancaster Chapter No. 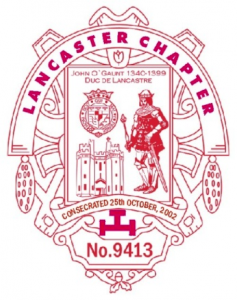 9413 was Consecrated on 25th October 2002 by M E Comp the Rev. Peter Hemingway, Third Grand Principal, assisted by E Comp R D Beardsley, Grand Inspector, Portugal; E Comp the Rev. J R D Scarborough, Grand Superintendent Lincs; E Comp R A H Morrow, Grand Scribe E; E Comp G A D Elworthy, Deputy Grand Director of Ceremonies; E. Comp J A Mathews, Grand Janitor; E Comp S A Ward, Grand Superintendent , Gibraltar and E Comp J A C Avery. Meetings of the Chapter are held at the Hotel Clube do Lago, Av. do Lago, 4, Estoril, usually at 7pm, on the Tuesday following the third Monday in January, May, and September (Installation). Held at Hotel Clube do Lago, Av. do Lago, 4, Estoril, on the day after the Lodge meetings in September (Installation) January and May.